International Financial Reporting Standard 13 (IFRS 13) “Fair Value Measurement” is effective for annual periods commencing on or after 1 January 2013. For a non-financial asset, the highest and best use of the asset. The principal market is defined as the market with the greatest volume and level of activity for that asset or liability. In the absence or evidence to the contrary, the market in which the entity normally transacts would be presumed to be the principal market. The fair value of a non-financial asset is measured on the basis of the highest and best use of the asset by a market participant. In determining the highest and best use an entity must contemplate whether the use of the asset is “physically possible, legally permissible and financially feasible”. Usually, the current use of a non-financial asset by an entity is considered to be its highest and best use, unless the market or other factors suggest otherwise. The market approach – prices or other relevant information generated by market transactions involving identical or comparable assets/liabilities. The income approach – future amounts are converted to a single current amount (e.g. discounted future cash flows). The replacement cost approach – the value required to replace the asset/liability at the time of measurement. Depending on the specific facts and circumstances, an entity may decide to use more than one valuation technique; however, a fair value measurement should in any case maximize the use of observable market inputs. The majority of the requirements of IFRS 13 are largely consistent with current market valuation practices. The management is required to be aware of the conceptual differences between IFRS 13 and International Valuation Standards (IVS) to ensure any values used for financial reporting that are obtained from asset/liability appraisals, whether external or internal, are consistent with the objective of the fair value measurement in accordance with IFRS 13. Disclosures based on the above hierarchy are already required for financial instruments under IFRS 7, but IFRS 13 extends them to cover all assets and liabilities within its scope. 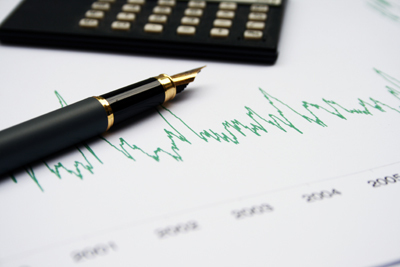 Some disclosure requirements differ depending on whether the fair value calculation is performed on a recurring or non-recurring basis. A reconciliation between the disclosure of classes of assets and liabilities by fair value hierarchy and the line items presented in the statement of financial position. The challenge for almost all entities is to provide in the financial statements the enhanced disclosures required by IFRS 13. Management will need to determine which (if any) of the valuation techniques used will have to change as a result of the introduction of IFRS 13 and what additional disclosures are necessary.